I like making up new words to songs. Okay, I really like making up new words to songs. A few weeks ago, I got a bee in my bonnet about Downton Abbey and Petula Clark's "Downtown," so I procrastinated on a deadline and came up with a little something. I also figured after the season three finale we could all use a few smiles and a song in our heart, so I give you this parody of Petula Clark's classic. 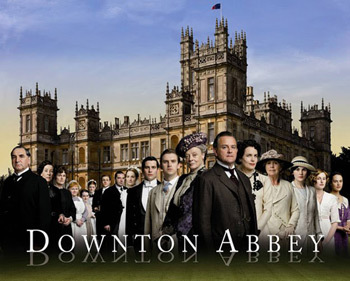 Here is "Downton Abbey" as performed by the stunning Allison Lowe, produced and edited by the genius Vince Chao (both of The Damn Millionaires). Downton, Carson is waiting for you!